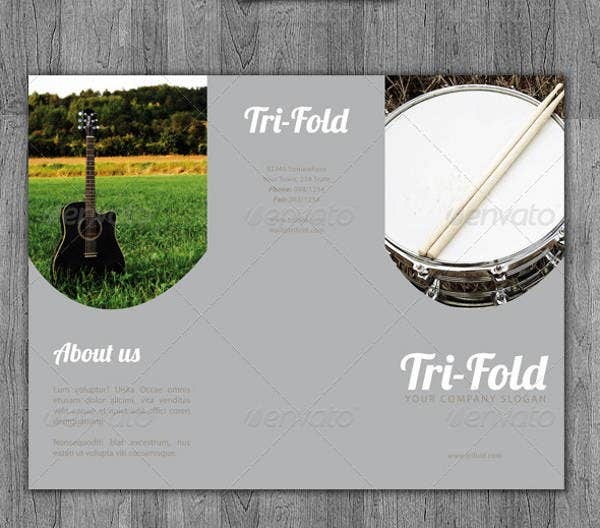 A music brochure is used in many functions that concern music be it for selling products like musical instruments or getting clients for a music tutorial session. 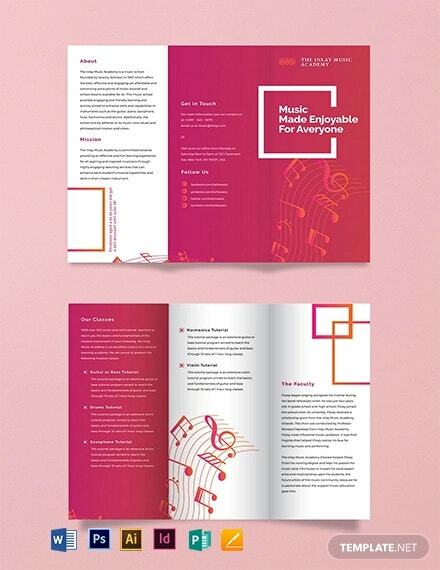 Music brochures play a vital role in providing information about the items that people need to know about about the music products/services that they want to purchase or acquire. 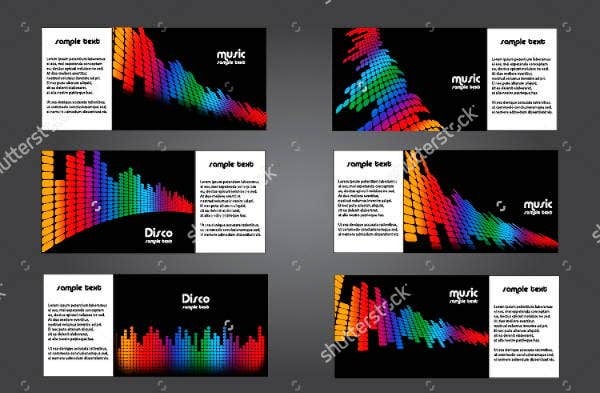 We can give you samples of music brochures and templates of Music Fold Brochures Templates so you can have references in creating these marketing and advertising tools. 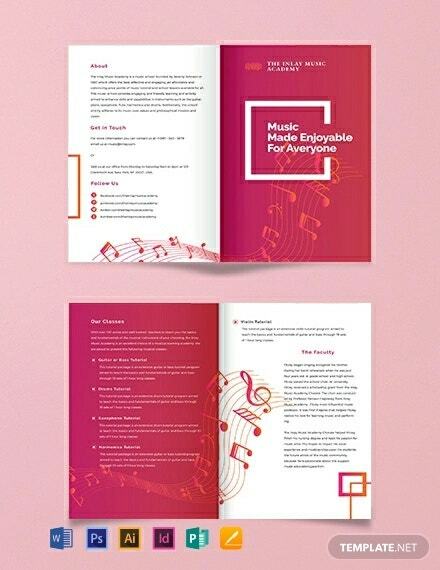 Remember the guidelines that suggest in writing your article so you can create an effective and comprehensive music brochure. 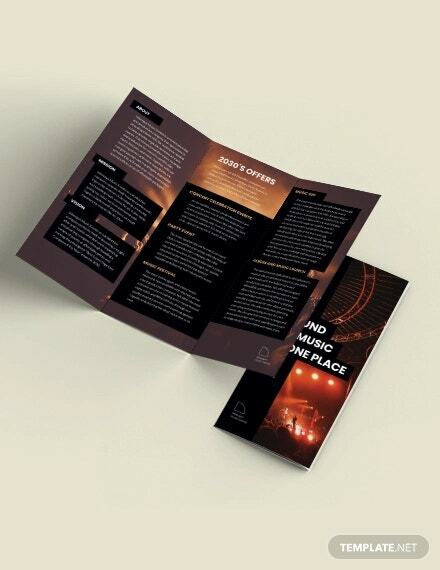 A music studio brochure is used by music houses to provide information about the items that they can be of service to. 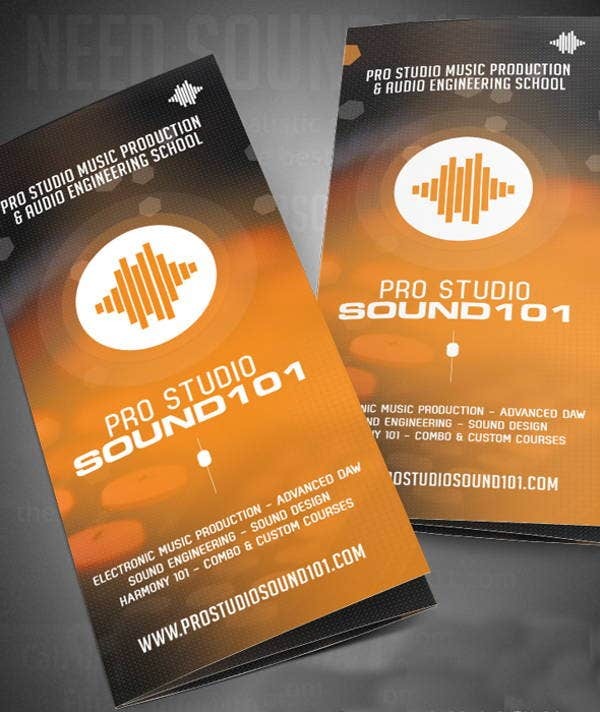 Musicians, record labels, and recording artists are only a few of the entities that need the services of a music studio. 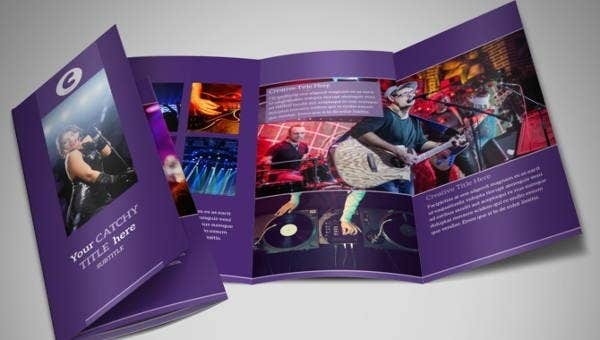 A music studio brochure includes the daily operating time of the studio, the specific hours of the day that they can accept music rehearsals and jamming sessions, and the price reference of the services that they can provide to their clients. 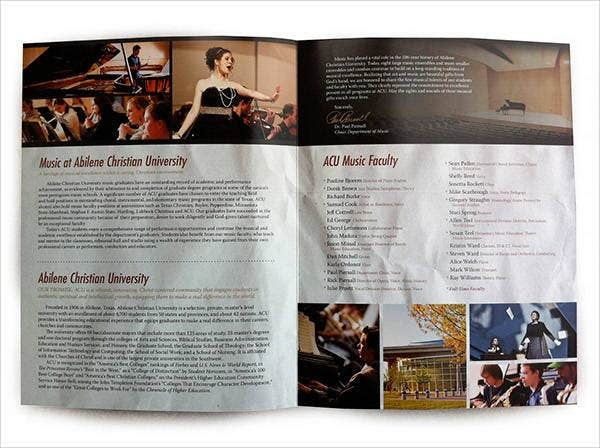 There are already a lot of music schools present nowadays so it is truly essential for a particular music school to use marketing tools that can greatly help them to increase their visibility in the market. 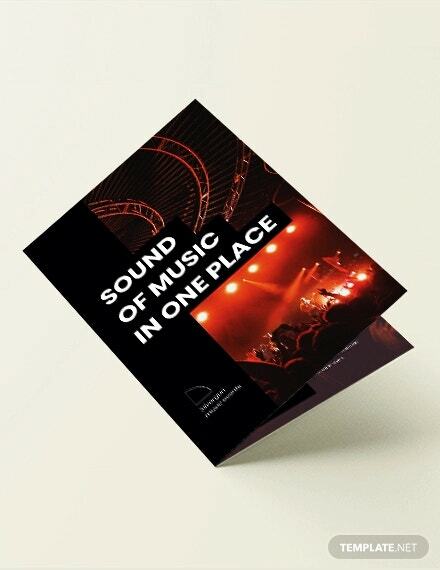 Other than our music brochure, you may also download more Event Brochure Templates on our website. 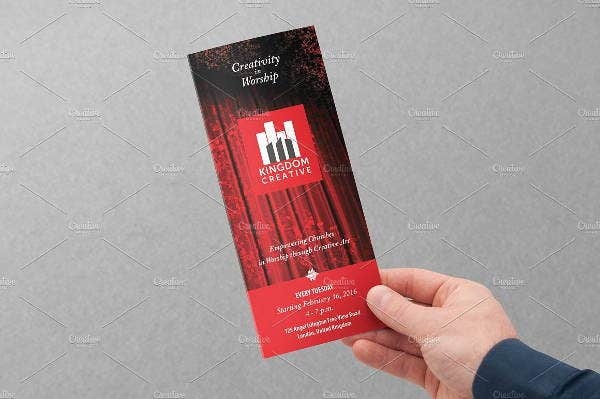 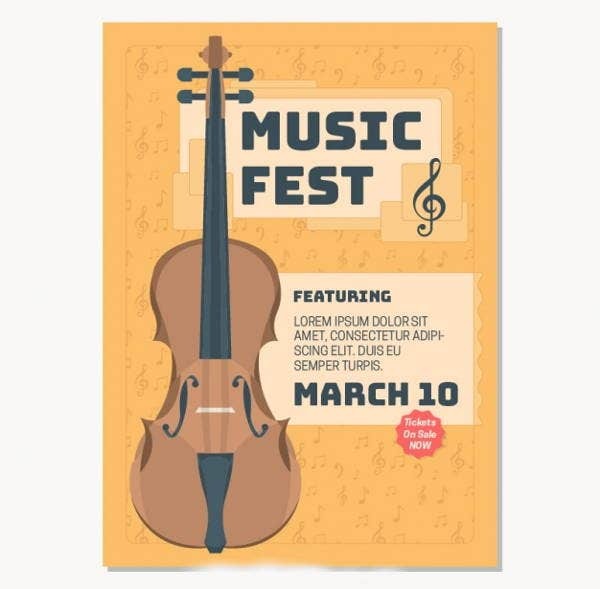 A music festival brochure serves as a document that people can look at, should they want to know more information about a music festival that is about to happen. 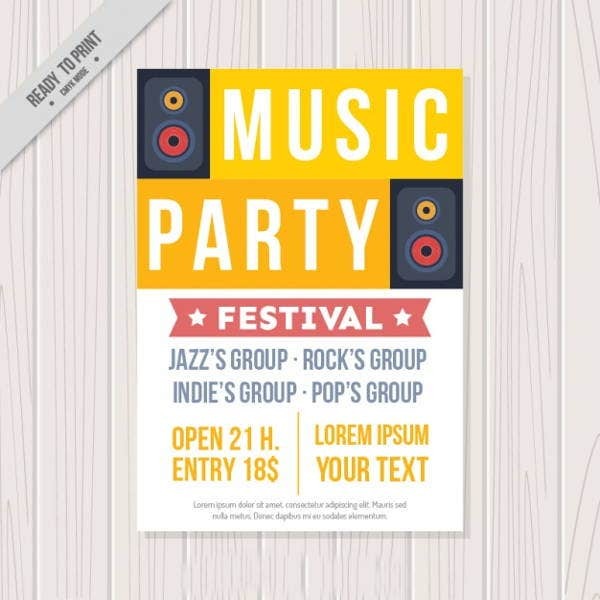 Music festivals are music events where artists get together to perform for a crowd and is usually done outdoors. 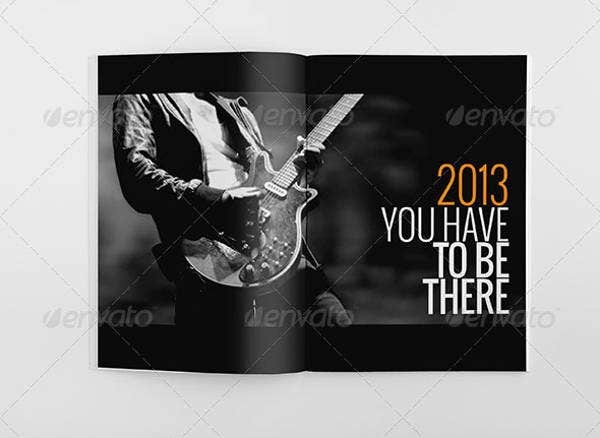 There are still many other functions and activities where a music brochure can help. 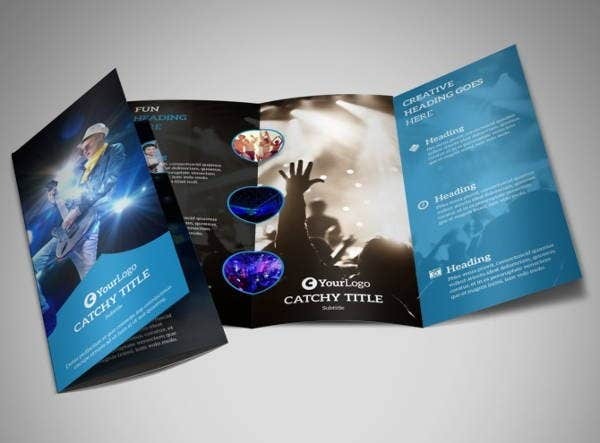 It is very effective to use music brochures as marketing tools as they can be brought anywhere and they can provide a lot of information in a single document. 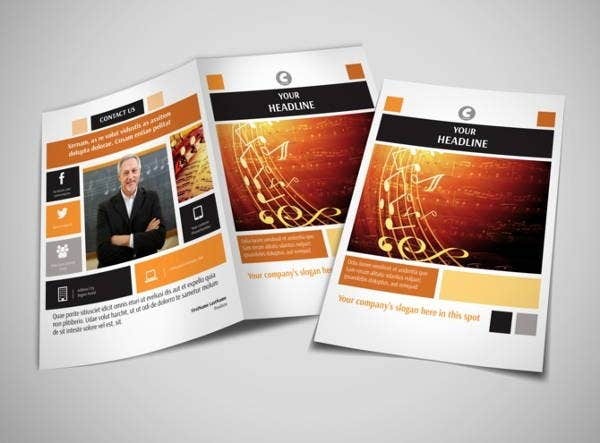 Aside from our music brochures, you may also download our HD Brochure Templates.